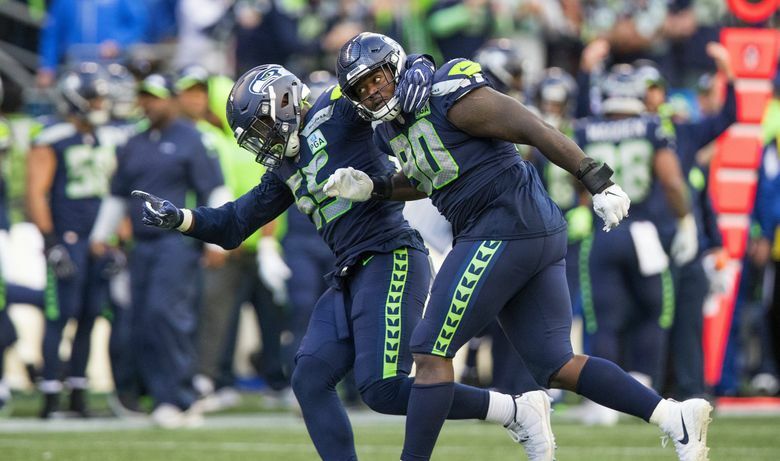 Frank Clark earned a sack for the third consecutive game on Sunday in Seattle’s defeat to the Los Angeles Chargers. In a contract year, the 6-foot-3, 265-pound defensive end has racked up 7.5 sacks in the Seahawks’ eight games. But on a day when the Seahawks finished with just two sacks, and Clark managed just one tackle, the fourth-year pro’s contributions weren’t enough. And Clark certainly didn’t sound satisfied with his production. “What I tell my young guys is, ‘Keep on pushing. Keep on going. Don’t let your technique fall apart. Don’t let your practice habits fall apart,’” Clark said, with an ice pack wrapped around his left shoulder. “It should inspire you to want to get better when you lose. It should inspire you to want to do more, to want to make more plays. That’s also what the statistics say, as the Seahawks rank 18th in the NFL with 21 sacks this season. Besides Clark and defensive tackle Jarran Reed (five sacks), no other Seahawk has more than two. “We’ve just got to do a better job,” Clark said. “I just feel like our D-line, we’ve got to rush better, like I’ve been saying for the weeks when we haven’t. It’s just a persistent effort to want to get better. The way Pete Carroll explained it, the Seahawks really didn’t have a difficult decision to make on what to do next after they scored late in the fourth quarter of Sunday’s defeat to cut the Chargers’ lead to 25-17 with 1:50 left. Seattle followed with an onside kick that the Chargers recovered at the 47. To Carroll, the chances of potentially getting the kick outweighed any loss in yards. The Seahawks held the Chargers on three plays, using all three of their time outs, with a sack on third down by Jarran Reed forcing Los Angeles to punt from its own 40. Seattle then took over at its own 22 with 1:24 left for its final drive of the game. Overall Seattle got the better of the Chargers in the special teams department all day. Punter Michael Dickson averaged 52.8 yards on six punts with a net of 50. The Chargers starting their six drives following Seattle punts from their own 17, 24, 35, 15, 5 and 6.